As working musicians ourselves, we know that setups and repairs are not 'one size fits all.' That's why we take the time to get to know you and your playing style so that your instrument can feel, sound and look exactly the way you need it to. Since 1979, we've built our reputation on one simple principle: Quality. We're kinda finicky that way. And apparently, our thousands of faithful clients agree, because they graciously allow us to continue this work we love. 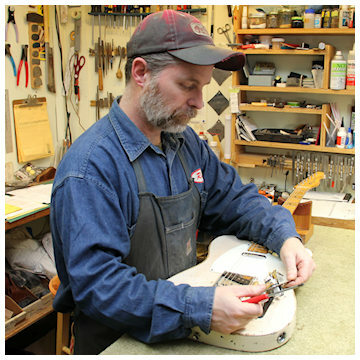 Our staff has decades of combined expertise in every aspect of fretted instrument repair and restoration. 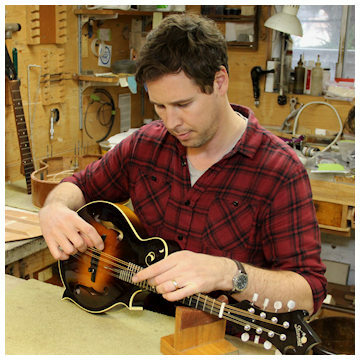 So if your guitar, bass, mandolin, banjo, dobro, dulcimer, koto, sitar, lute or 3-string cigar box needs a little (or a lot of) TLC, we have the skills, tools, and experience to make it right. Conveniently located on historic Belmont Street in inner Southeast Portland. 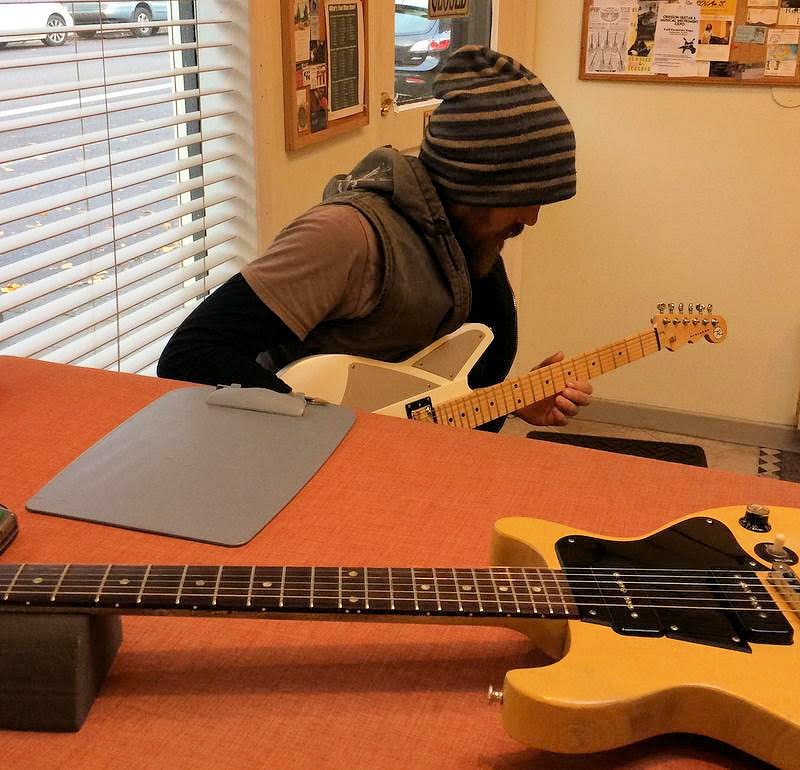 Every player and guitar is unique, so we’ll take the time to go through the job with you to get the results you're after. See us for an estimate. If you have a quality fretted instrument that you'd like to sell, we can certainly help. Our commission is 20% and we'll do all the marketing and promotion. And should it need a little sprucing-up, we can work with you to determine the best options so that it's ready for sale. We've found that our buyers tend to prefer high-quality and vintage collectible guitars. Of course, the top sellers include the names you'd expect, like PRS, Martin, Gibson, Fender, Guild, Gretsch, and Taylor. But Portlanders are also known for their love of the eclectic and unusual, so if you have a quality instrument whose time has come to find a new home, we'd love to see it. We'll know what it's worth and what it will take to get you a good price. Then, after it's sold, you can take that dream vacation to Tahiti! Okay, probably not Tahiti, but maybe a weekend at the coast. We'd really like to hear from you so please leave us a note. Or even better, let's meet in person. Stop in any Tuesday - Friday from 11 to 6, or Saturday noon to 4.